Originally, I had wanted to publish a SG50 book on old-school bakeries and cake shops in Singapore, to remember bits and pieces of memories of my childhood. Finding these shops, getting the owners to share their histories and stories, and documenting through photos and recordings, was way more challenging than I envisioned. Especially when I am still holding on to my day-job. However, I WILL NOT GIVE UP, and hope that 2016 will be the year I can complete this piece of work. I probably have about 50-60 on my list already, and will comb one by one. If you are the owner of an old-school bakery, or have personal contacts to any, do let me know. The owner then loved all things English, named his shop after a castle in Scotland, and sold English treats such as butter cake, rum balls and beef pies. Balmoral’s pastry chef picked up his baking skills at the cake section of Robinson’s Department Store (which was destroyed by fire in 1972). The shop continues to be frequented by customers, many to buy their Cream Horns filled with rich buttercream, and old school buttery Beef Pies. 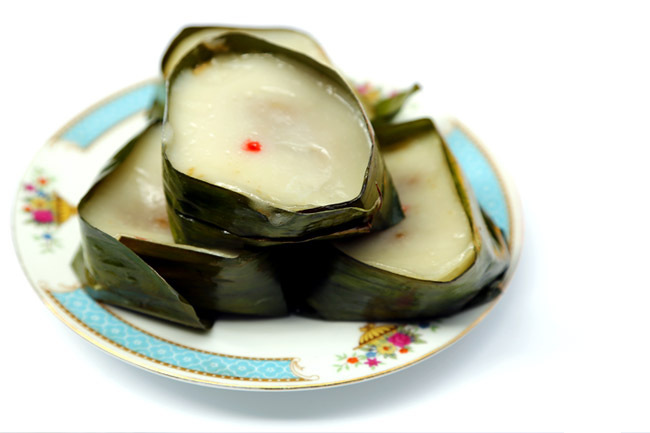 The Hainanese has a saying, that a piece of kueh cannot be complete without coconut. This represents the importance of coconut palm sugar in their cakes and snacks. 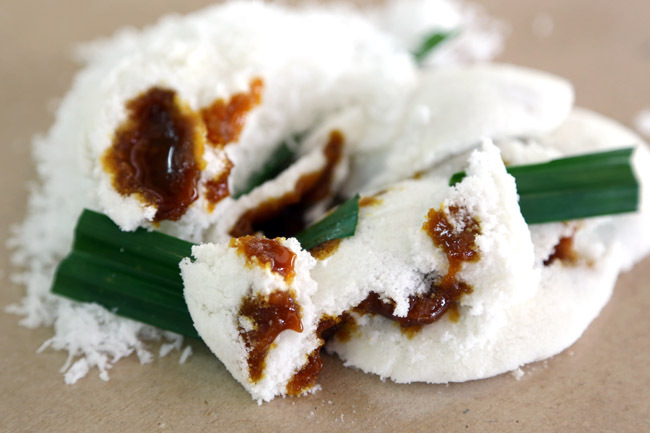 The Yi Buah is something I have never really seen before, a Hainanese kueh made of glutinous rice flour then stuffed with fillings such as coconut, sesame and peanut. The word “Yi” represents memories, and the cake has come to symbolise bliss, joy and harmony among families and friends. Hainan Xiao Chi continues to make Yi Buah by hand, and sells other Hainanese food such as “ji shi geng”, literally meaning chicken poop soup because the ingredients look like it. Don’t worry – it is actually cooked from the root of a herb. 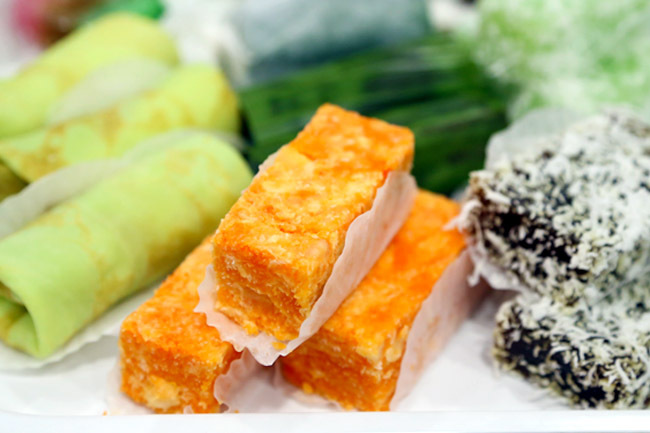 Behind the signature homemade glutinous rice and Nonya kueh of Harry Ann, is a wonderful story of love and family ties. 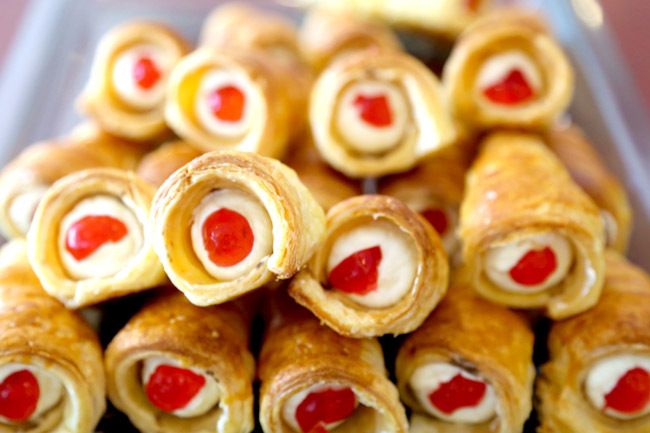 The stall was founded by couple Harry and Ann who learnt traditional Nonya kueh making from Harry’s mother. Harry’s mother Mdm Chia had to raise the family up single-handedly through selling glutinous rice, after their father passed away suddenly in a freak accident at the Singapore River. 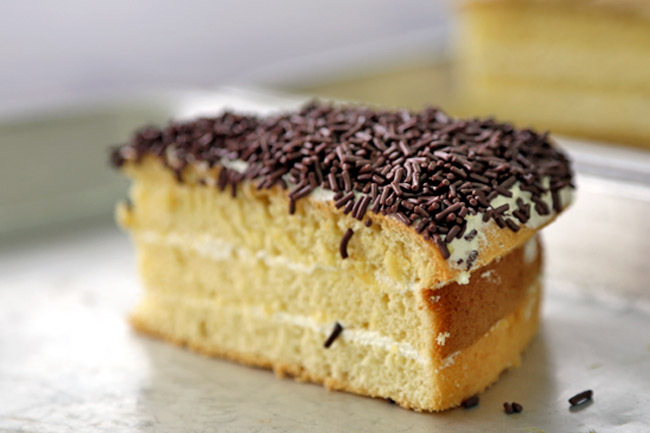 So the taste of the chu bee png has largely remained unchanged, and cakes continue to be made by hand. Le Café was established in 1949, and has been in same the Middle Road location for 60 odds years. 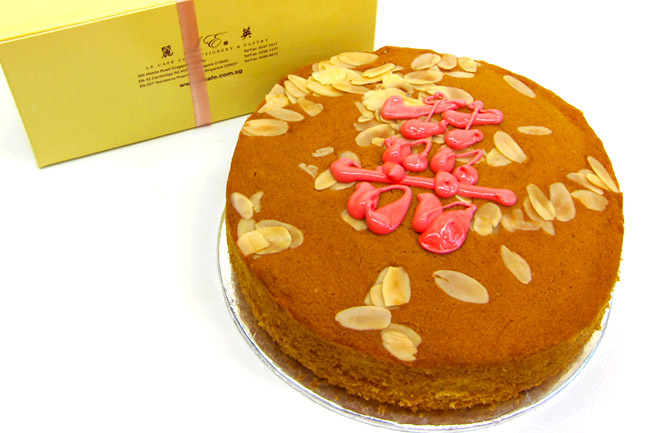 But few would know they started off as a zhi char shop, and started selling cakes in the 60s when ‘Guo Da Li‘ (betrothal gift exchange) cakes became widely sought after. Though they are more known for their pineapple golf balls and beancurd tarts now. This is one bakery where residents around Bukit Merah (opposite the Alexandra Village Food Centre) continue to go to for their butter cakes, custard pastries and hotdog buns. Nothing much has really changed in terms of décor and offerings from as far as I can remember, where an uncle would be behind a counter, and you can get slices of creamy cakes covered in chocolate sprinkles. Ng Kim Lee at Bt Timah has been around for more than 60 years, selling Teochew-style pastries and old school Western cakes. Some Teochew families still continue to order wedding cakes and betrothal baskets from them. Other than the old-school tau sar pia, they are known for their mushroom pies, muffins and butter cakes. Its present location at Beach Road would zap you into a time machine back to the past, with its tiled flooring, red lanterns and sale of old-school cakes. Of course I was surprised to find the Traffic Light Cake ($1.20). I haven’t seen these since I left primary school. 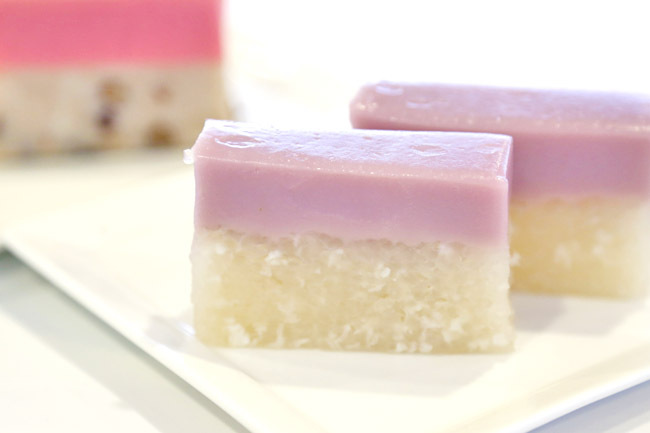 Updated: Sembawang Confectionery has been bought over by Cooking Art. 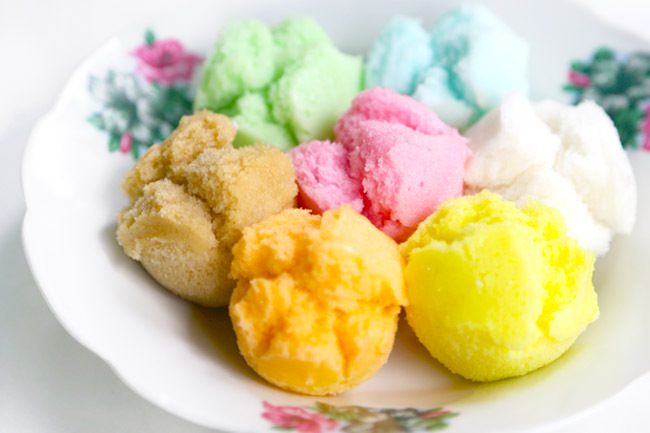 Their variety include the orange Pandan Tapioca Cake (60 cents), Ondeh Ondeh (60 cents), Kueh Kosoi (70 cents), Kueh Ambon honeycomb cake ($1.20) and Kueh Salat (90 cents). This stall at Onan Road was very busy during noon time, with 4-5 ‘makcik’ dressed in ebony white, making putu piring in quick precision and systematic rhythm. 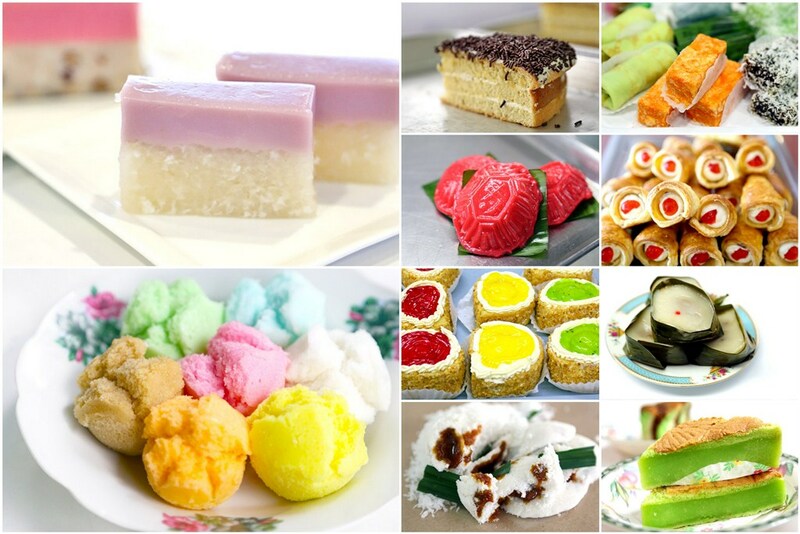 These Malay desserts look like the Chinese kueh tutu, but the origins are said to be from India. 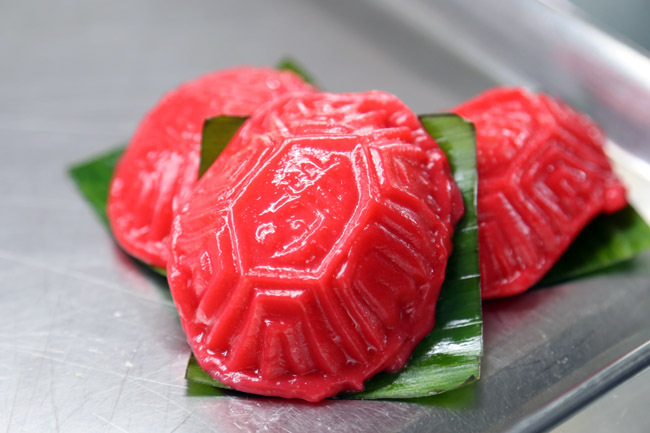 The round cakes were made of ground rice flour, filled with gula Melaka (palm sugar) in the centre, covered with another layer of rice flour and then steamed in metal conical moulds for about 5 minutes. Owner Mohamad Hashim first learnt how to make the putu piring from his grandmother, and had continues to do so for 20 years. His son and daughter-in-law continued to manage one of the two stalls. As Singapore celebrates its 50th birthday, many of these treasures are fast-disappearing, replaced by machinery, I find it even more crucial to document them before they are long gone. Some of these interviews, turned out to be reflective and emotional, as owners retold their journeys from learning to selling cakes. Many of them were forced by circumstances, to raise a family during times of uncertainty. It was during these conversations I learnt more about Singapore and appreciate what I have more. I have done many many food posts, but this is something I have always wanted to do. Happy Birthday My Singapore! Hey there, have you heard of Pine gardens? Really good hazelnut and the old sch rice sprinkle cake! The Putu Piring shop is now at AlWadi coffeeshop at the same location. There’s no more Mr. Teh Tarik there. hi daniel, many thanks for the list…..just to add on – LE cafe actually has a branch at the pek kio hawker centre (blk 42 cambridge road, #01-02). 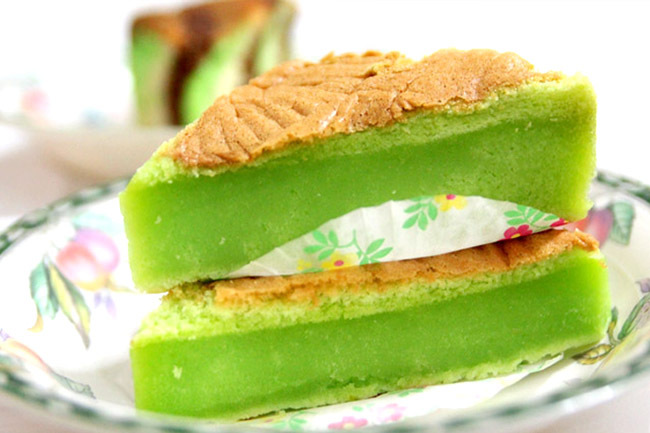 What about Lana cake shop near to Chinese High School along Bukit Timah road, 36 Greenwood Ave? Dong po colonial cafe at kandarhar street ? Dong Po sells heritage cakes, but they are actually quite ‘new’. Woah if you sell the book, I reserve a copy already! I want! So good luck to publishing it next year! Jia you! Old-fashioned traditional bakery even before I was born in 1982. 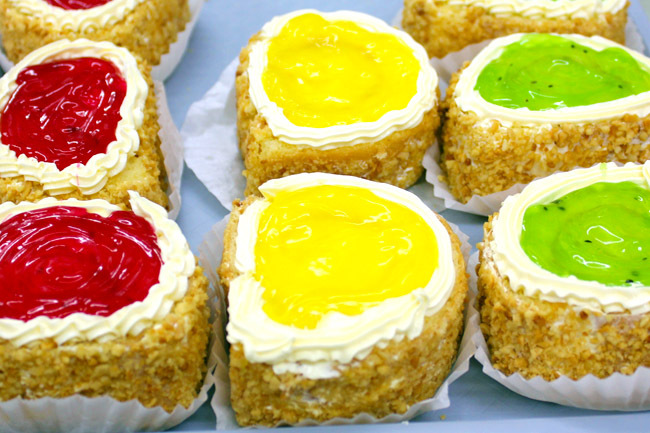 Still serving old-school cakes and snacks, the kind you’d find in the 80s. Blk 416 Bedok North Ave 2. Katong Sin Chew Cake.